Smart devices reigned supreme at this year’s Consumer Electronics Show, from toilets and fragrance dispensers to autonomous vehicles and slightly creepy child robots. Out of 31 product categories, smart home technology was the largest with over 1,000 exhibitors. There were also over 470 smart city booths, proving just how much the race for smart living dominance has heated up. We also saw, for the first time, a significant push to serve the multifamily industry. 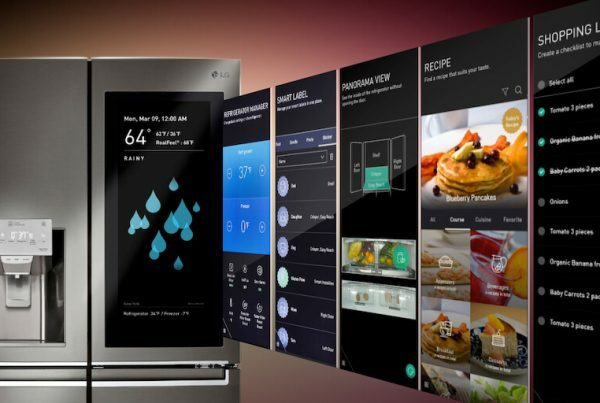 Some new devices were built specifically for the multi-tenant environment, while other, more general products will surely find a home in smart apartments. 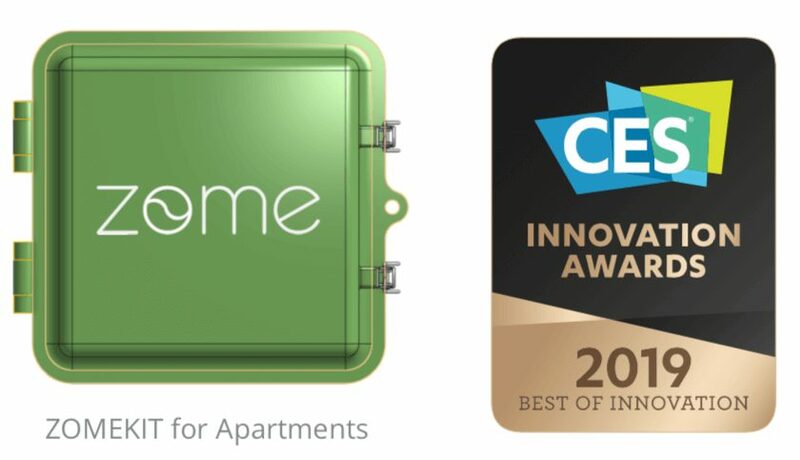 Homebase CEO Blake Miller attended CES this year and took an inventory of the best smart multifamily tech on display. Video doorbells were all the rage in 2018, but they have thus far been designed to replace traditional doorbells on homes. That changed at CES this year with several companies announcing doorbells that replace peepholes on apartment doors. Ring, the Amazon smart doorbell company, launched the Ring Door View Cam, a device that fits directly on an existing peephole. 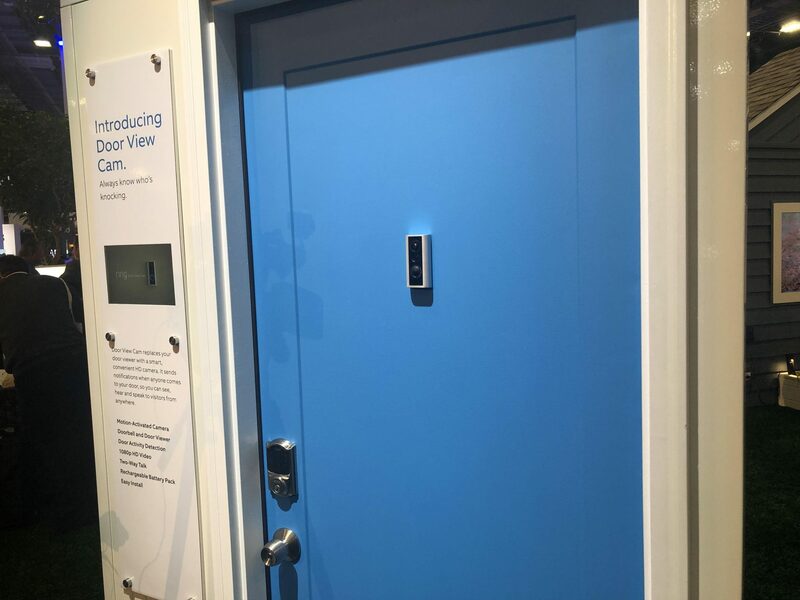 The Door View Cam is easy to install– no drilling or wiring necessary– and still allows residents to use the peephole. It has a video camera, doorbell, and motion sensor that sends alerts to the user’s smartphone when someone walks up to the door. Brinno and Remo+ also introduced peephole door cams at the conference. While any home can install these cameras, they are most useful for renters and multifamily buildings due to their easy installation. Plus, most apartments don’t have traditional doorbells, so peephole cams are a more natural fit. CNET said that this year’s CES had the most smart camera/doorbell devices for apartments they had ever seen. Expect even more as smart home companies jockey for their share of the multifamily market. 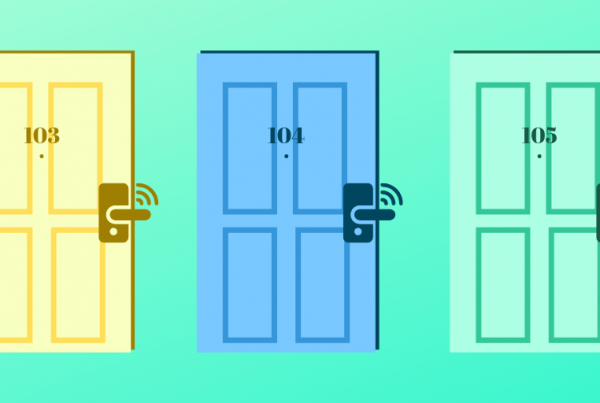 If there was one smart home device that dominated the rest, it might have been smart locks. Virtually every lock manufacturer on the planet launched their new models, not to mention the tech giants and startups with devices of their own. 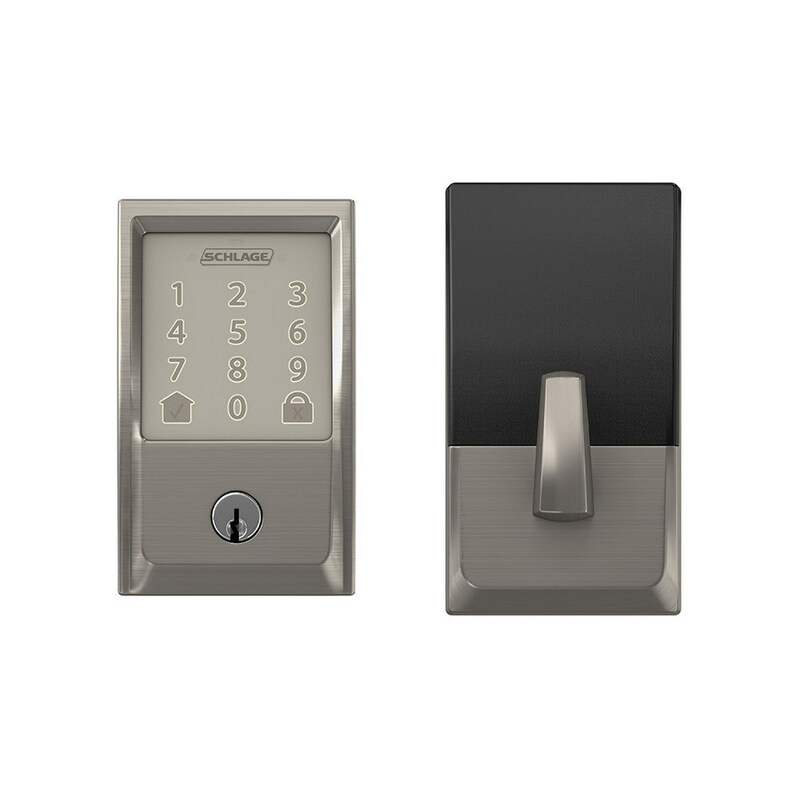 The stand-outs, from a property manager’s perspective, were the Altro smart lock, the Schlage Encode wifi-powered deadbolt, and two new models from lock-giant Kwikset. The Altro Smart Lock caught our eye because it’s actually a lock and video doorbell in one. The $350-device doesn’t come cheap, but its simplicity and space-saving nature is a bonus for multifamily properties. The Altro connects to wifi and has a special permissions level for property managers. Schlage, no stranger to smart locks, launched the first-ever wifi-enabled deadbolt at CES this year. That means residents or property managers can unlock a unit’s door from anywhere in the world, combining maximum security with maximum accessibility (and no, that isn’t an oxymoron). The lock also integrates directly with Amazon Key, meaning users won’t need a hub or bridge to connect to the service. Kwikset’s new models add choices at different price points. The Halo is a wifi-enabled lock that connects to a user’s smartphone without the need for a hub or bridge. The Aura is Bluetooth only, which means it can only be accessed locally. Both locks have their benefits and drawbacks. The Halo can be unlocked from anywhere, but is more expensive and has a shorter battery life. The Aura can only be controlled from within Bluetooth range, but it is $50-100 cheaper than the Halo. That’s significant savings when purchased by the dozens for multifamily buildings. Speaking of home accessibility, Amazon Key announced several new capabilities, including Amazon Key for Business. Key for Business is a smart fob that allows drivers to access secure package drop off areas inside commercial and residential buildings. Typically, building staff has to let delivery drivers into the package drop off area. With Key for Business, deliveries can happen on the weekends and after the leasing office has closed. Managers can still set delivery hours and monitor entries and exits of the building. Key for Business will make the lives of property managers easier by removing a manual task from their days. It’s also great for residents, who will get their packages sooner. Everything covered so far has focused on technology inside the apartment unit. 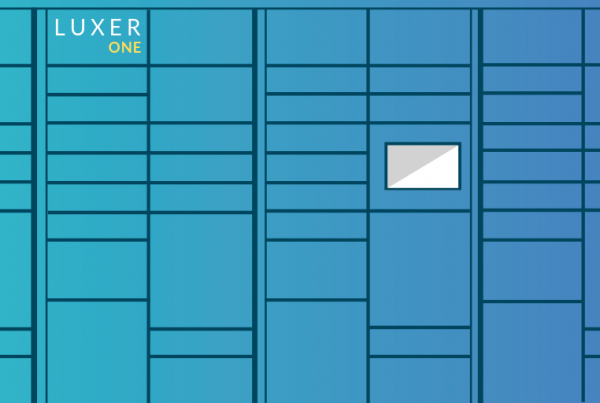 ZOMEKit Energy Network is tackling the challenge of making entire multifamily buildings smarter. The kit comes with a series of adapters and sensors for each unit, all controlled by a single gateway device in the center of the property. ZOMEkit was the winner of this year’s CES Innovation Award for the Smart Cities category. 5G internet was a major theme at CES this year, with Verizon, ATT, and Sprint all claiming to be “first” to the revolutionary new network (None of them are technically wrong, but none are 100% right, either). While we’re still at least a year away ubiquitous 5G coverage, its coming-out-party at CES paints a picture of the future for multifamily. Telecoms are developing 5G in response to our society’s massive demand for internet. From 3D video streaming to the 20+ billion connected devices predicted by 2020, our world is consuming data faster than it can be delivered. 5G will deliver faster internet speeds and the bandwidth necessary to support these new devices, which could range in the hundreds to thousands inside a multifamily building. It is touted as a “quantum leap” over 4G, with speeds 1000x faster than the current network. While smart apartment buildings should rely on both wifi and IoT networks to support devices, 5G internet will be essential to building a fully connected multifamily community, and later, a true smart city. 2018 may have been a banner year for smart apartments, but 2019 marks the beginning of a new era. With multifamily squarely in the tech industry’s crosshairs, we expect innovation to increase rapidly. 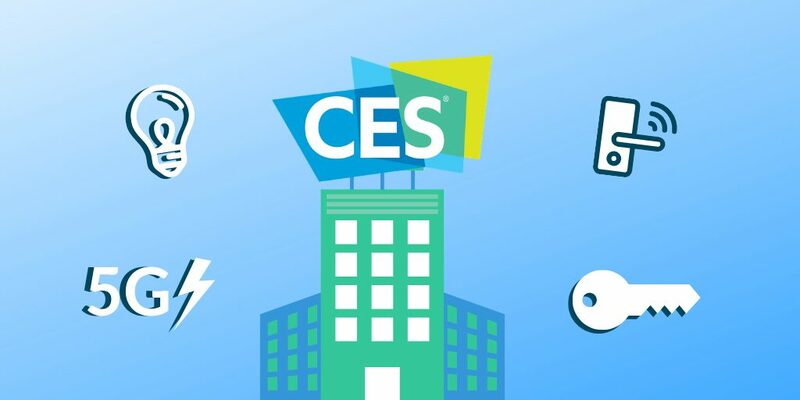 What we saw at CES 2019 is just a glimpse into what the future might hold.